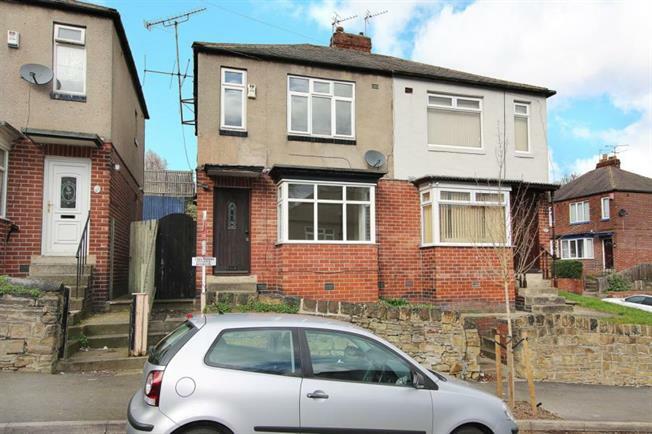 3 Bedroom Semi Detached House For Sale in Sheffield for Guide Price £95,000. Offering no chain and off possible interest to a young first time buyer or investor is this delightful three bedroomed semi-detached house that has undergone some upgrading to both the kitchen and bathroom. Offering attractive space ready to move into and comprising, entrance lobby, lounge, kitchen, three bedrooms and modern bathroom. The property offers gas central heating and double glazing and is located within a short distance to the Northern general hospital, local shops and bus services.